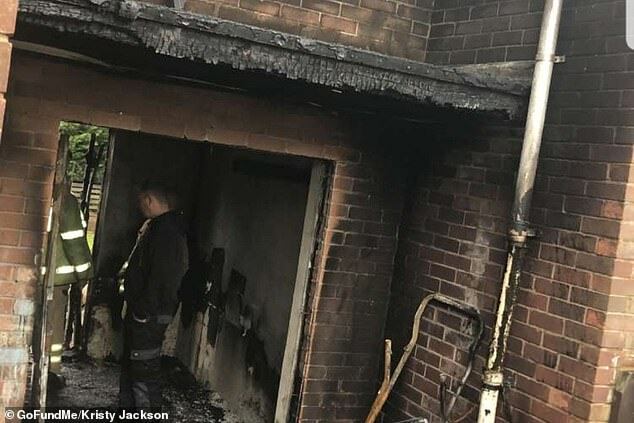 A family home was destroyed in a fire after a tumble dryer caught alight while a mother-of-two was at work. 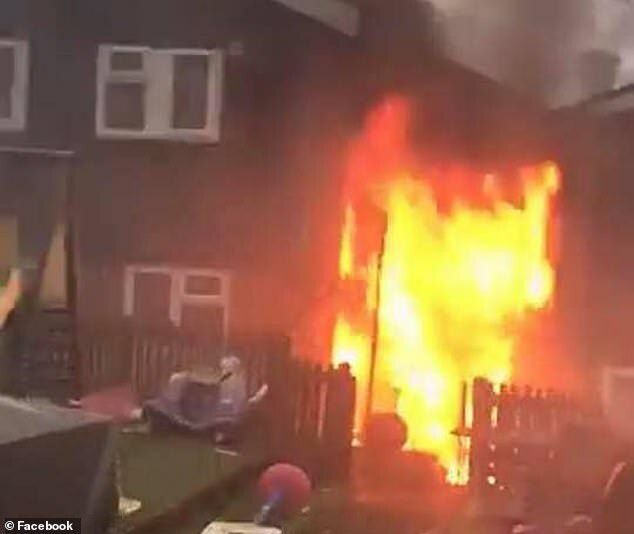 Kirsty Jackson, 26, put her washing in the dryer before leaving for work at a nursery but was called back to the house by her boyfriend Simon Hayward who told her flames were spreading through the home. By the time she returned she could only watch on helplessly as the home she’d lived in for seven years was destroyed along with everything inside. Ms Jackson, of Croesyceiliog, Cwmbran, South Wales has been told the wrecked property will need to be pulled down. She said: ‘I turned the tumble dryer on and went to work while Simon was sleeping at the house at 7.05am. ‘By 8.04am I’d had a phone call to say my house was gone – there is no way to explain how losing everything makes you feel numb and broken. I just felt numb when I saw it. I could not believe it. 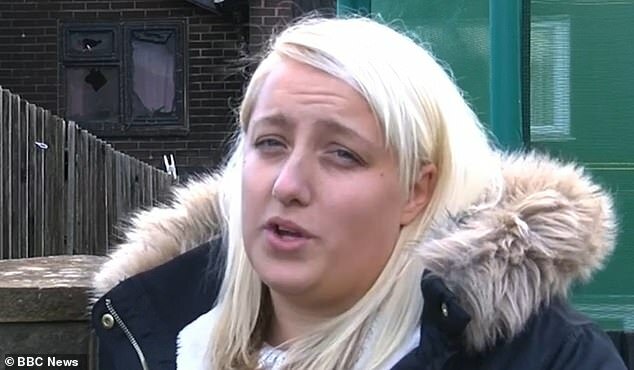 Speaking to BBC News she said her children’s Christmas presents and decorations had also been destroyed in the blaze. Ms Jackson is now claiming on insurance but has had to rely on well-wishers and family for food, clothing and beds to see them through. The nursery where she works has also called for donations, saying: ‘Kirsty Jackson an amazing member of our team has lost everything within an hour due to a faulty tumble drier. ‘Due to asbestos exposure she is not allowed to take anything at all from her home. A fundraising page has been set up to help the family and has raised more than £1,000. Kirsty said: ‘We do have insurance but, as you can imagine, it will take ages for it to be processed. ‘We are going to be starting again from scratch.